The longevity of Foreigner is not a surprise to rock and roll enthusiasts, who’ve embraced the band and its music since the group came together in 1976. And now their latest CD, “Feels Like the First Time,” offers amazing versions of their biggest hits, plus a DVD of a performance. The group is currently finishing a long tour, and we caught up with the band for an interview for On and Beyond and Entertainment Journal. Foreigner’s debut album produced #1 hits ‘Feels Like the First Time,” “Cold As Ice” and “Long, Long Way Home.” Their album “Double Vision” followed, and during the zenith of the ‘80s sound, three more Foreigner albums topped the charts. 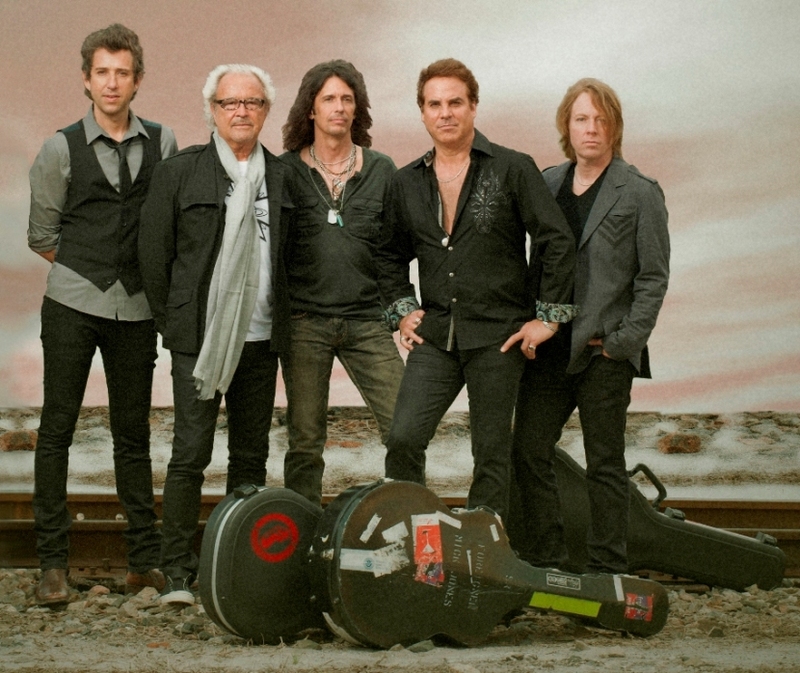 Still rockin’: Foreigner remains a hot concert ticket throughout the world. Though the group broke up briefly in 2002, founder Mick Jones responded to an outpouring of public support and encouragement and reloaded a new powerhouse lineup of musicians, and Foreigner was back. Now, 37 years after the group’s first performances, its latest tour is once again propelling them to the top of the charts, taking them across the U.S. as well as to South America, Mexico and Europe. They will return to England to start a new tour of the UK next April. Multi-talented musician Tom Gimbel, who plays rhythm guitar, keyboards, sax and flute for Foreigner, spoke about the group’s long-lasting and ever-increasing popularity. In 2012, they experienced another surge in popularity when three of their songs were featured on the “Rock of Ages” soundtrack, “more songs than from any other band,” Gimbel said. Hollywood took note, and several tracks were included in the films “Magic Mike” and “Pitch Perfect.” Those send Foreigner music downloads up 400 percent, with their catalog outselling The Eagles, Def Leppard, Tom Petty and The Who that year. Like his Foreigner bandmates, Gimbel is right where he always wanted to be—enjoying a career in music that keeps on giving not only to their fans, but to group’s members as well. And for fans of Foreigner as well. Back in 1971, when “The Waltons” premiered on CBS, no one realized the popularity and longevity that the series would enjoy. For nine seasons, it dominated the ratings, winning numerous Emmy, Golden Globe and People’s Choice Awards. It also broke new ground in network television—proof that a show about family, and family values, could succeed even as the world’s values began changing. Actress Judy Norton had no idea how impactful her role as Mary Ellen Walton on the show would be. By time she was 6, the Los Angeles native was already working in television on programs like “Ozzie and Harriet,” “The Tammy Grimes Show” and “Felony Squad.” But it was as the eldest Walton daughter that her career really took hold. Fast forward to 2013, and Norton is breaking ground again with a new role, and a new type of TV offering. She plays Judge Sophia Wyndom on “Bluff,” a series launched this year on ConvergTV and the Venture Channel, accessible on the popular Roku Box (www.roku.com) system. It’s a new forum for TV—not only in its content but in the way it’s offered to viewers. And it’s a sign of the continuing evolution of entertainment in this age of technology. “Bluff,” a suspense-laden, character-driven police drama that tackles social issues like alcoholism, drug abuse, parenting after a divorce and child trafficking, was created by Canadian actress Jewelle Colwell, who stars as Detective Summer Brown. She pitched the idea to Norton through a mutual friend. “Jewelle and I really hit it off immediately,” Norton recalls. “I loved what she was doing. She had a web series for one season, and took the core of the story and turned it into this TV series. It was kind of a natural progression for her, and for all of us as we produced the first six episodes.” Norton has also penned and directed some of those episodes, and the collaborative team is working on securing financing to produce six more. When “The Waltons” was airing, there was far less competition in the TV market. Still, as this year’s Emmy Awards proved again, non-network shows such as “Breaking Bad” and “Homeland,” and “House of Cards” on Netflix, are increasingly popular and in demand. The playing field has been leveled greatly for independent filmmakers and producers. Norton has continued to perform for more than three decades since “The Waltons,” with many other TV appearances (including three Walton reunion shows) and on stage. She sings, dances and is an exceptional athlete. 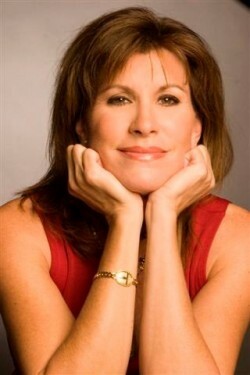 Her website (judynorton.com) showcases her great variety of talents. She lived and worked in Canada for several years (and returned to work on “Bluff,” which is filmed in Alberta), and has written the screenplay for a film titled “Finding Harmony” that will be released next year. Just last week, she began filming a new web series called “Disorganized Zone.” She’s as busy as ever, and she’s passionate about what “Bluff” has, and will continue, to accomplish. And she’s quick to point out that one of the secrets behind the series’ success is the investment, literally and figuratively, of the whole team.